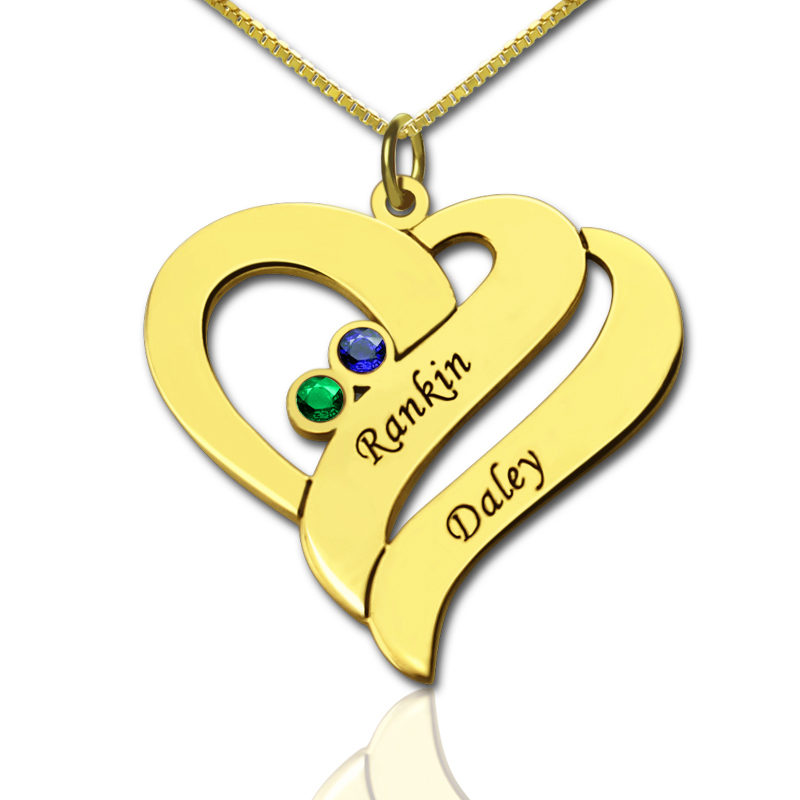 Personalized Gifts - Two Hearts Forever One Love Necklace in Gold - Personalized Double Heart Necklace is a great jewelry to show your love. 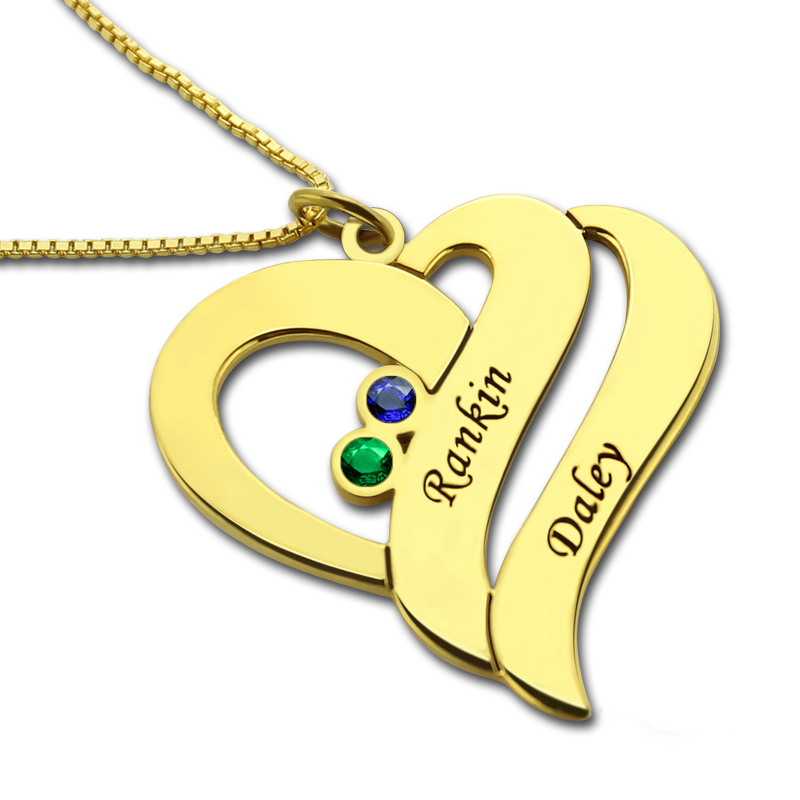 Put two heart combine together and engraved name on it with colorful birthstone! 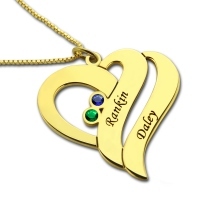 Our love forever one!